The Freelance Mentor Program looks to provide mentor resources to a broad range of teams. It can be difficult for students to commit to mentoring a team for a full season and there are always teams looking for more mentors. 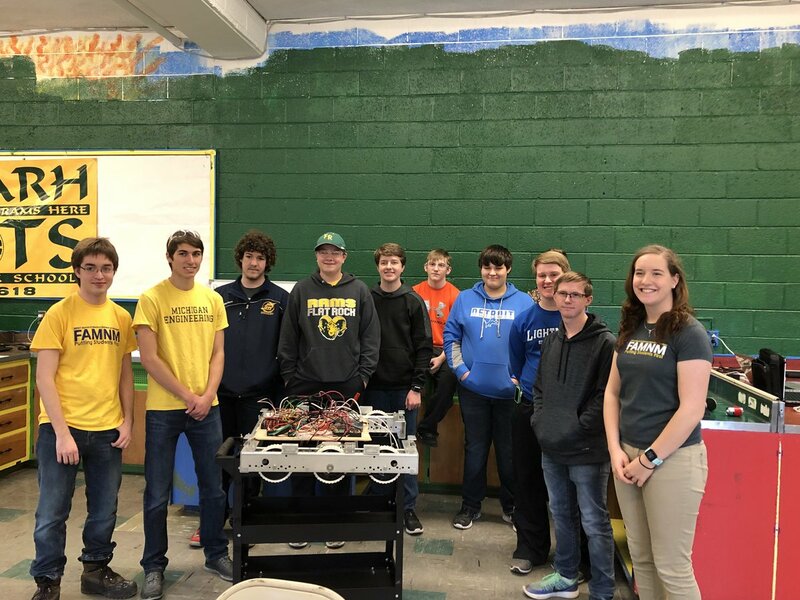 To solve these issues, the Freelance Mentor Program allows University of Michigan students with expertise in areas such as chassis, electronics, and programming to assist teams on a case by case basis. For example, if a team needs programming help, a few freelance mentors could visit a team and provide assistance with their programming. This would allow the team to get help, while not committing the mentors to a full season. Pictured: Freelance mentors helping out Team 6618 - WARHBOTS for FIRST® Power Up!